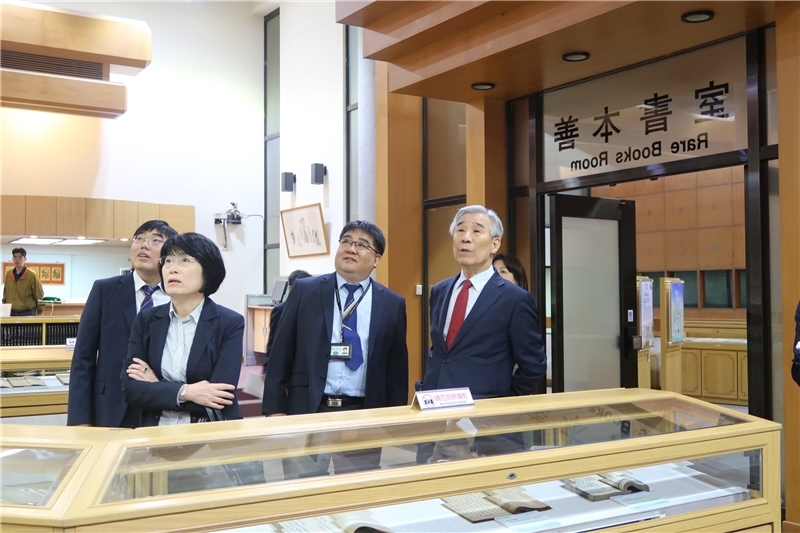 In September this year, National Central Library (NCL) Director-General Ms. Tseng Shu-hsien visited the National Assembly Library of Korea (NAL) which houses a rich collection of bibliographical resources. 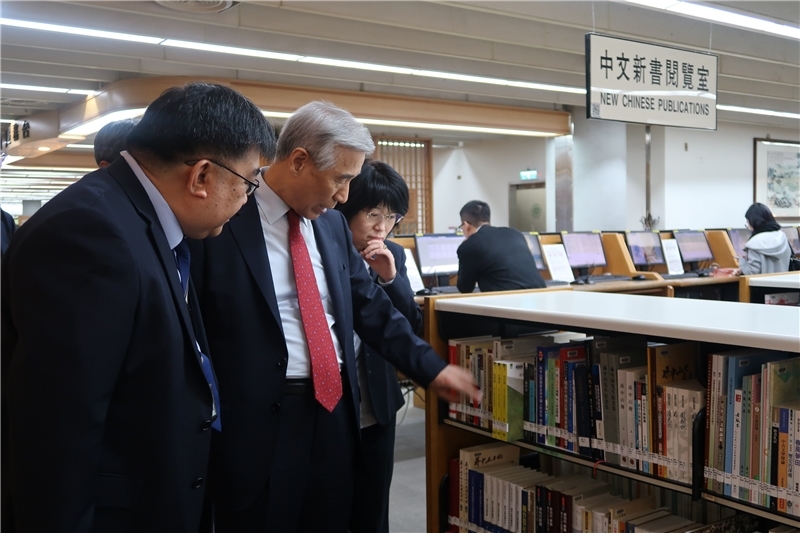 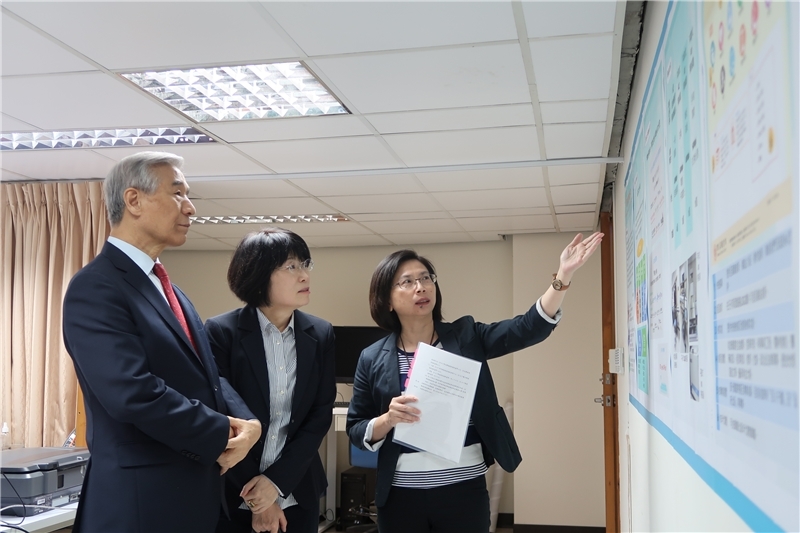 Director-General Tseng and NAL's Chief Librarian Dr. Eun Chun Lee's in-depth discussions indirectly led to an enhancement of exchange and cooperation between the two libraries. 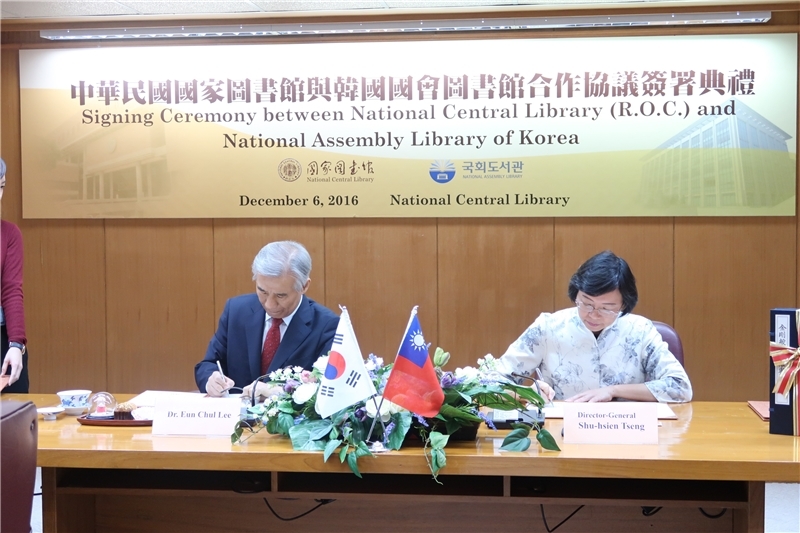 The signing of this cooperation agreement and Memorandum of Understanding will enable the two libraries to exchange specialist personnel, publications, experience, and skills, while enhancing their future ability to provide specialist library information services across a variety of fields. 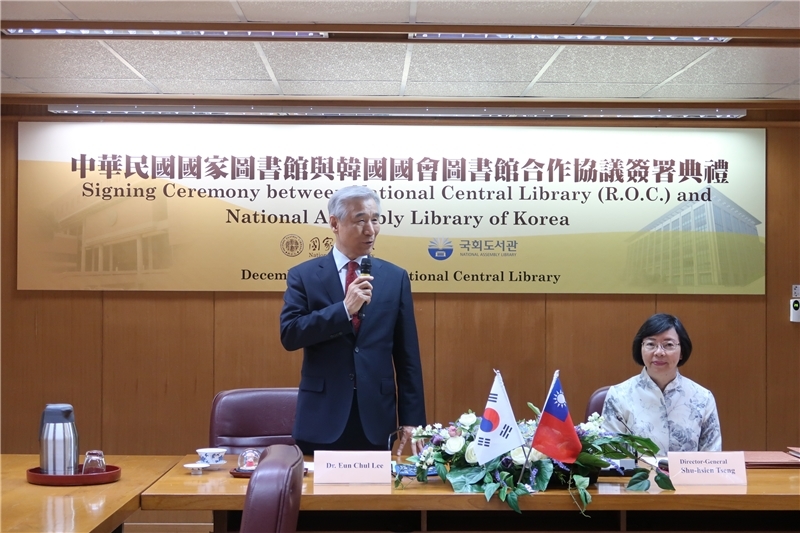 Founded in 1952, the NAL houses a rich collection of modern and ancient books. 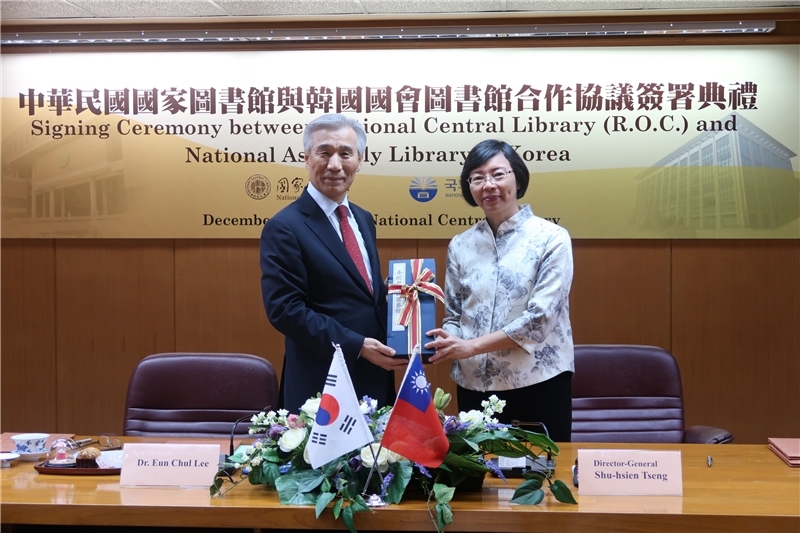 At the signing ceremony, Director-General Tseng expressed her admiration for the NAL's special collections, excellent services and facilities, and work in preserving cultural artifacts. 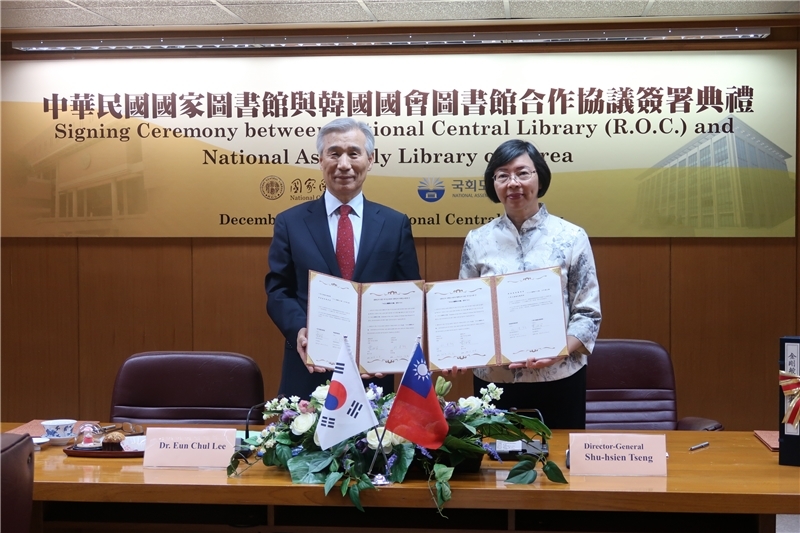 Ms. Tseng presented the NAL with facsimile reprints of an 800-year-old national treasure, the Annotated Poetry of Su Dongpo, and of the only surviving two-color edition of the Diamond Sūtra, to enrich NAL's collection and mark the beginning of a historic collaboration between the two libraries. 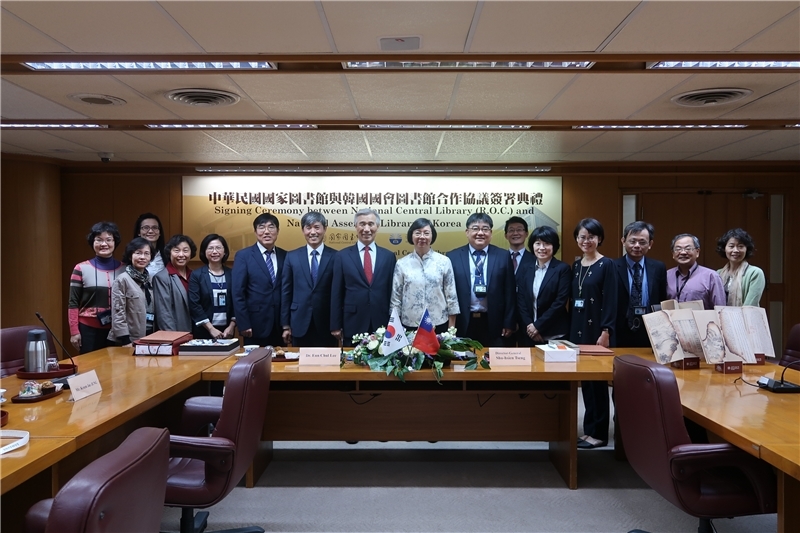 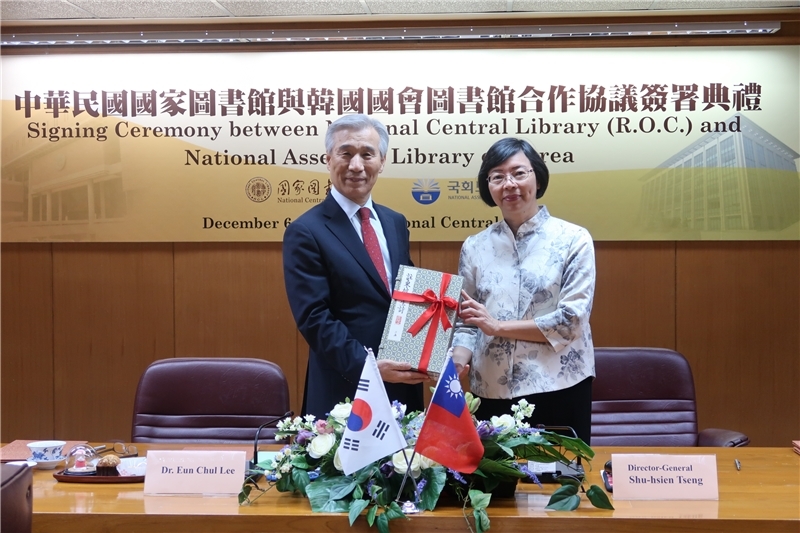 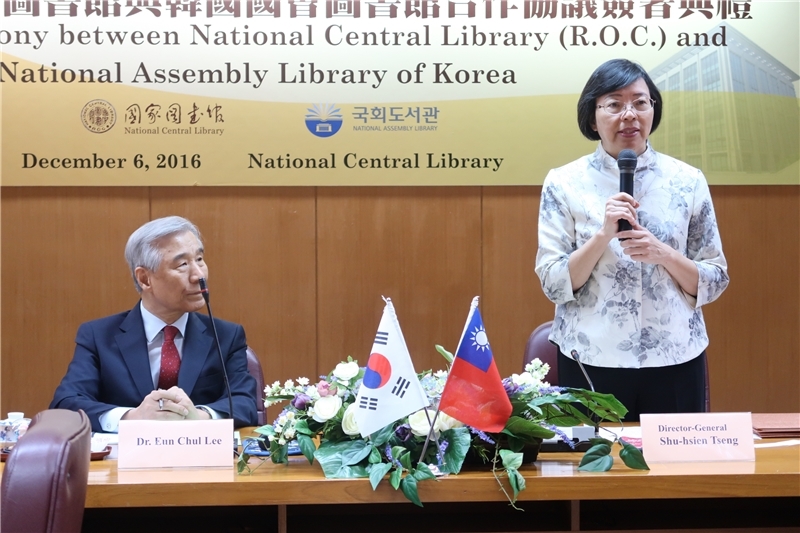 NAL Chief Librarian Dr. Lee thanked the NCL for its warm welcome and was pleased about the sharing of bibliographic resources between Taiwan and South Korea. 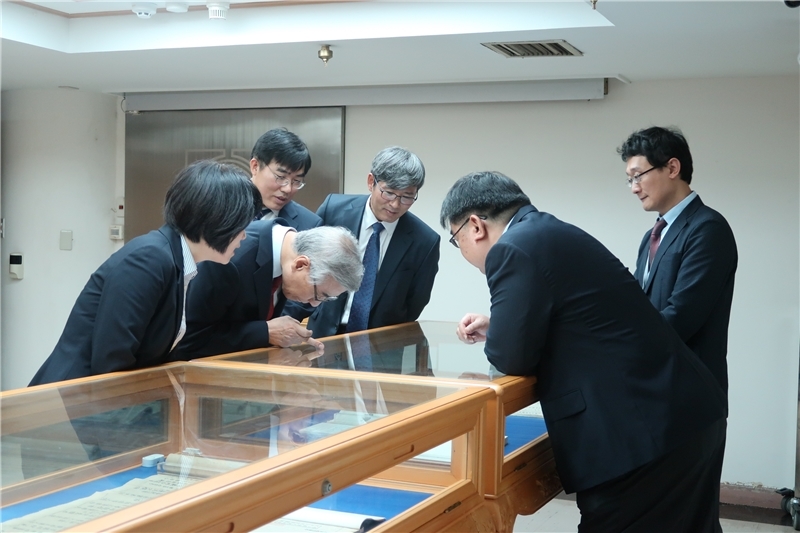 Generations of people in the two countries have shared experiences that will be fertile ground for many worthwhile academic collaborations and exchanges in the future.